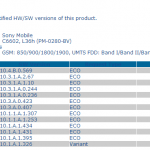 Sony Xperia Z got another update, but wait is it global ? Naa…it don’t seem to be. 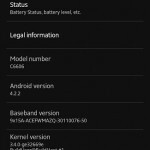 Last month we saw Sony Xperia Z C6603 and C6602 getting android 4.2.2 Jelly Bean 10.3.A.0.423 firmware update but just now a person at XDA reports that another Xperia Z Jelly Bean 10.3.1.A.0.236 firmware OTA Update is rolling out. 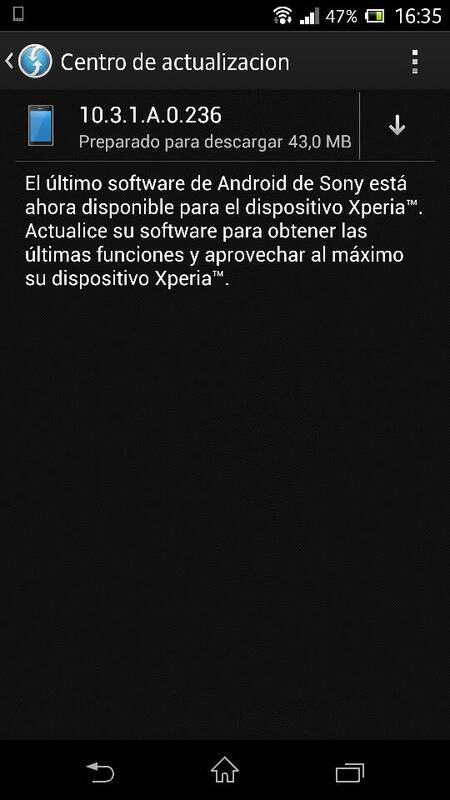 XDA poster has confirmed that Xperia Z Jelly Bean 10.3.1.A.0.236 firmware OTA Update has been received on his developer handset, confirming he posted the pic of same. Originally no news of such Jelly Bean 10.3.1.A.0.236 firmware has been posted on PTCRB site also. 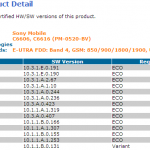 It is confirmed that Xperia Z Jelly Bean 10.3.1.A.0.236 firmware OTA Update rolled out on a prototype device of Xperia Z C6603, which creates speculations whether the same update will reach to consumer “red” devices or not. 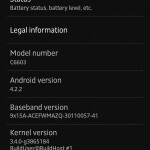 Xperia Z Jelly Bean 10.3.1.A.0.236 firmware OTA Update is simply of 43 MB which marks that it may a bug fixing update only, not a fresh one. Below you can see the prototype Xperia Z C6603 device which got this Jelly Bean 10.3.1.A.0.236 firmware update. Customization of device is 1270-6697_r4b. 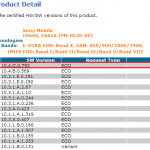 T-Mobile USA Xperia Z C6606/C6616 10.3.1.E.0.191 firmware certified – Which Android version ?